WEST LAFAYETTE, Ind. – New research into the effects of repeated head impacts on high school football players has shown changes in brain chemistry and metabolism even in players who have not been diagnosed with concussions and suggest the brain may not fully heal during the offseason. Researchers used a medical-imaging technique called proton magnetic resonance spectroscopy (1H MRS) to study the brains of 25 high school football players and those of non-contact-sports controls before, during and after the regular season. "We are seeing damage not just to neurons, but also to the vasculature and glial cells in the brain," said Eric Nauman, a professor of mechanical engineering, basic medical sciences and biomedical engineering. "I was particularly disturbed that when you get to the offseason - we are looking somewhere between two and five months after the season has ended - the majority of players are still showing that they had not fully recovered." Findings, which suggest the cumulative effects of injuries pose potential health dangers for players not diagnosed with concussion, are detailed in five research papers published in May in the journal Developmental Neuropsychology. The 1H MRS data provide details about the blood flow, metabolism, and chemistry of neurons and glial cells important for brain function. The data also revealed a "hypermetabolic response" in the brains of football players during the preseason, as though trying to heal connections impaired from the previous season. "We found that in the preseason for the football players in our study, one part of the brain would be associating with about 100 other regions, which is much higher than the controls," said Thomas Talavage, a professor of electrical and computer engineering and biomedical engineering and co-director of the Purdue MRI Facility. "The brain is pretty amazing at covering up a lot of changes. Some of these kids have no outward symptoms, but we can see their brains have rewired themselves to skip around the parts that are affected." One of the research papers, in work led by former doctoral student Victoria N. Poole, showed that knowing a player's history of specific types of hits to the head makes it possible to accurately predict "deviant brain metabolism." Findings suggest that sub-concussive blows can produce biochemical changes and potentially lead to neurological problems, showing a correlation between players taking the heaviest hits and brain chemistry changes. Data showed that the neurons in the motor cortex region in the brains of football players produced about 50 percent less of the neurotransmitter glutamine compared to controls. "We are finding that the more hits you take the more you change your brain chemistry, the more you change your brain's ability to move blood to the right locations," Nauman said. To help prevent concussions, sensors might be integrated into helmets to track hits to the head and to monitor how well the helmet is absorbing the blows. "Intervention is a big issue," said Larry Leverenz, clinical professor in the Department of Health and Kinesiology, and an expert in athletic training. "We'd like to get to the point where, now that we know we can observe with imaging how the brain changes with exposure, we can intervene to change the hardware, change the helmets, change techniques and training regimens." The Purdue Neurotrauma Group has been studying brain changes in high school football players since 2009, research spanning six seasons. The most recent papers are based on data collected during the study's fourth season. "Recent proton magnetic resonance spectroscopy studies argue that the recommended two-week window of rest is insufficient for full metabolic recovery after concussion," Nauman said. "Those returning to play prior to full recovery could incur a second concussion with symptoms and metabolic changes more lasting than the first." The researchers also are working to develop helmet technologies that absorb more energy than conventional helmets to better protect the brain. The Purdue researchers have formed the Concussion Neuroimaging Consortium with seven other institutions to garner support and funding for research into the neurological effects of contact sports. The other consortium members are Northwestern University, Michigan State University, North Shore University Hospital, Ohio State University, Pennsylvania State University, the University of Nebraska, and the University of Central Florida. "The human-health consequences of repeated hits to the head have a significant effect on people's lives, whether they play the game or their children play or a sibling plays or a friend plays it," Nauman said. The work was performed by a team of researchers also including former graduate students Evan L. Breedlove, Katherine Morigaki Breedlove, Meghan E. Robinson and Anne Zakrajsek; graduate students Trey E. Shenk and Kausar Abbas; and Ulrike Dydak, an associate professor in the School of Health Sciences. This research is funded primarily by the Indiana Spinal Cord and Brain Injury Research Fund, a part of the Indiana Department of Health. 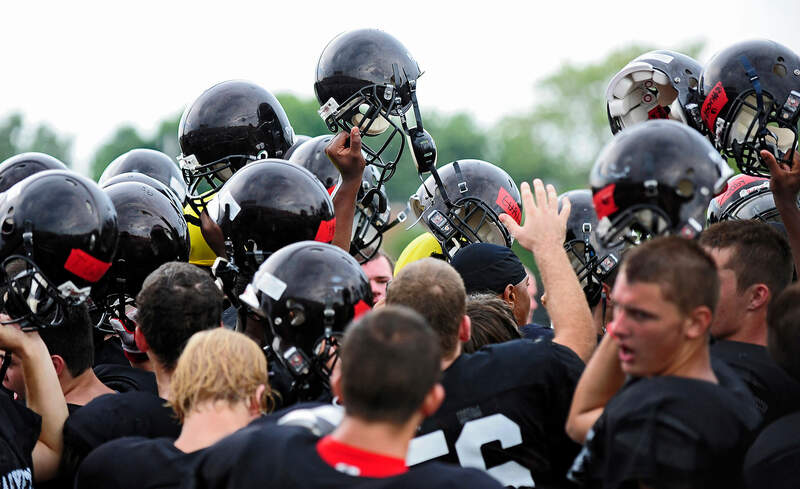 Magnetic resonance spectroscopy and helmet telemetry were used to monitor the neural metabolic response to repetitive head collisions in 25 high school American football athletes. Specific hit characteristics were determined highly predictive of metabolic alterations, suggesting that sub-concussive blows can produce biochemical changes and potentially lead to neurological problems. Understanding that neural injuries could have long-term detrimental consequences, there is increased pressure on athletic directors, athletic trainers, and coaches to determine the appropriate window of recovery for proper concussion management (May, Marshall, Burns, Popoli, & Polikandriotis, 2014). Recent proton (1H) magnetic resonance spectroscopy (MRS) studies argue that even the recommended two-week window of rest is insufficient for full metabolic recovery after concussion (Signoretti, Tavazzi, Lazzarino, & Vagnozzi, 2014). Those returning to play prior to full recovery could incur a second concussion with symptoms and metabolic changes more lasting than the first (Vagnozzi et al., 2008). These findings strongly suggest an additive effect of injury during a time of vulnerability. An additive effect of injury may also affect non-diagnosed players remaining in play, as supported by a recent 1H MRS study (Poole et al., 2014). This study seeks to determine whether head collision histories (e.g., number, magnitude, helmet location) can serve as meaningful predictors of sub-concussive changes in brain metabolism for athletes in play, and whether the accumulation of these hits can lead to more chronic injuries.